As students planned to gather at UCLA in November 2018 for a conference on Palestinian rights, they faced unprecedented international efforts to shut it down. One city councilmember falsely accused students of engaging in terrorist plots. The entire council called on the university to censor the conference. A Zionist group physically assaulted students, while chanting anti-Arab, anti-Muslim taunts. A congressman wrote to the university falsely accusing students of antisemitism and demanding that the conference be cancelled. The university sent students a legal threat letter claiming that kites are a symbol of violence and demanding that they alter their logo. An Israeli government-sponsored app directed people to complain of an unsafe environment on campus. 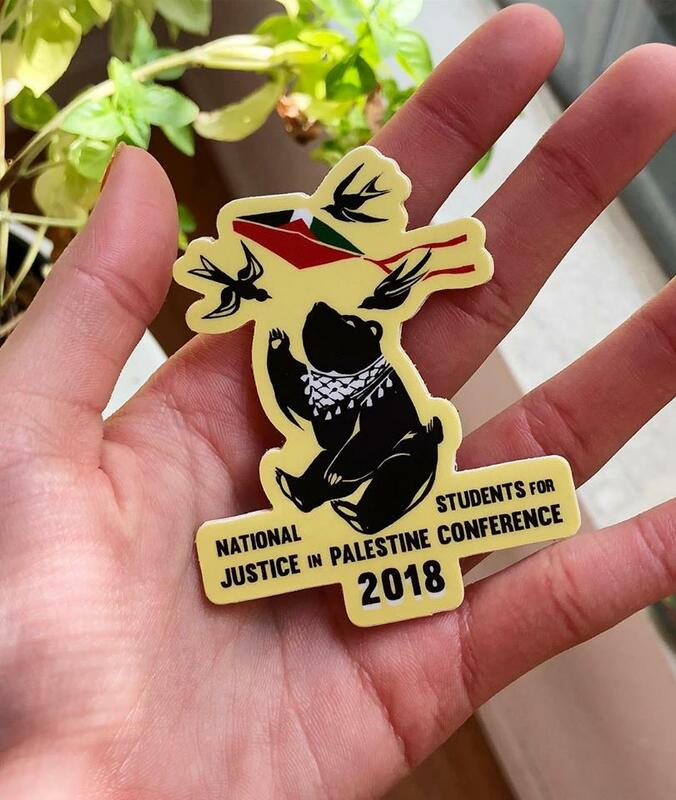 Despite the international pressure campaign against the conference, National Students for Justice in Palestine (NSJP) held their largest gathering ever. The threats against the NSJP conference – and activists’ resilience – are a microcosm of deepening efforts by Israel advocates to silence the movement for Palestinian rights in the United States. Palestine Legal responded to 289 incidents of suppression of U.S.-based Palestine advocacy in 2018, on top of the 308 incidents responded to in 2017. Seventy-six percent targeted students and scholars at 68 campuses across the country. Additionally, Palestine Legal responded to 62 legal questions from activists who were concerned their rights were threatened. Over five years, from January 1, 2014, through December 31, 2018, Palestine Legal responded to a total of 1,247 incidents of suppression targeting speech supportive of Palestinian rights, and an additional 318 requests for legal assistance in anticipation of such incidents. This data reflects only what was directly reported to Palestine Legal, and therefore is not an exhaustive account of the suppression. In 2018, the volume of suppression incidents reported to Palestine Legal remained steady, while the severity increased. The level of involvement by government actors grew significantly, as Trump appointees implemented an anti-Palestinian agenda, as legislatures targeted Palestinian rights advocacy, and as law enforcement investigated activists. New lawsuits against people who take a public stand for Palestinian rights and the continued harassment of students and scholars intensified the chilling effects of suppression. Despite this evolving threat, however, the movement for Palestinian rights in the U.S. continues to gain steam, and a growing number of people are compelled to speak up for freedom, equality, and justice for Palestinians. Moreover, courts are confirming that advocacy for Palestinian rights, including boycotts, are protected First Amendment activities. Bold new elected officials are standing up against efforts to undermine our constitutional rights, opening a path for those who oppose the U.S. government’s unconditional support for Israel. In blatant disregard of the First Amendment, government actors have increasingly had a direct hand in censoring Palestine advocacy. This censorship originates at all levels of government – from Trump-appointee Kenneth Marcus to FBI agents, administrators at public universities, and both Democratic and Republican state governors. These actions have also empowered anti-Palestinian groups, who, unfettered by the First Amendment, have used the tools provided by the government to further chill activism. In June 2018, Trump-appointee Kenneth Marcus was confirmed as head of the Office for Civil Rights (OCR) at the Department of Education. Prior to joining the Trump administration, Marcus crafted a legal strategy of using civil rights law to target campus criticism of Israel, including by promoting and filing baseless complaints with OCR. At the time, OCR investigated and dismissed these complaints. Within weeks of taking office, Marcus reopened a previously dismissed complaint by the Zionist Organization of America (ZOA) against Rutgers University over a 2011 event featuring survivors of the Holocaust and the Nakba. In notifying the ZOA of the reopened investigation, Marcus adopted a widely criticized re-definition of antisemitism that classifies virtually all criticism of Israel as antisemitic. Marcus’ appointment and his adoption of a hotly contested definition began to have significant repercussions in 2018. The ZOA and other pro-Israel groups were quick to capitalize on the redefinition and the presence of ideological allies in the administration. 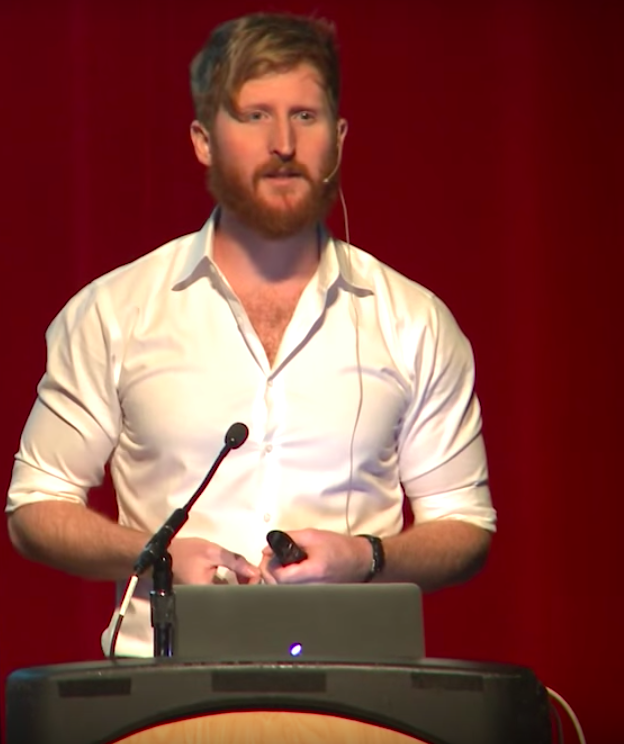 Professor Sanctioned Over Academic Boycott: In September, University of Michigan Professor John Cheney-Lippold declined to write a letter of recommendation for a study abroad program in Israel because he supports the academic boycott for Palestinian rights. Right-wing pro-Israel groups launched a campaign demanding that he be disciplined over his political statement. Within days, he received over 500 hate messages, including emails calling for him to be killed. The ZOA wrote the University of Michigan, demanding that Cheney-Lippold be sanctioned. In its letter, the ZOA cited the reopened Rutgers investigation and the re-definition of antisemitism, using the threat of federal investigation to pressure the university to take action. The university sanctioned Cheney-Lippold with a loss of his earned sabbatical for two years and no merit increase for the academic year. Federal Complaint Against Student Vigil: In November, students from Jewish Voice for Peace and Students for Justice in Palestine at the University of California, Berkeley, planned a vigil to jointly mourn the Jewish worshippers killed in the Tree of Life synagogue massacre in Pittsburgh and the Palestinian children killed in Israeli air raids in Gaza. After antisemitism accusations and threats to their safety, the students decided to cancel the event. Students eventually held a small private event instead of the shared public experience they had originally envisioned. Attorneys representing a pro-Israel group on campus wrote to OCR demanding that the students be expelled because the event created a “false moral equivalency” by insinuating Israelis are “mass murderers,” which would be considered antisemitic under OCR’s re-definition. By the end of 2018, 26 states had laws on the books intended to suppress boycotts for Palestinian rights. The Anti-Semitism Awareness Act (ASAA) would have directed the Department of Education to use the widely discredited “State Department Definition” of antisemitism when investigating complaints on campuses. The re-definition is so broad it classifies virtually all criticism of Israel and Israeli government policies as antisemitic. As in 2016, the bill failed to advance, but members of Congress are expected to continue introducing similar legislation. Sponsors of the Israel Anti-Boycott Act (IABA), a bill introduced in 2017 to criminalize certain boycotts of Israel, attempted to insert the legislation into an end-of-year appropriations bill. These efforts failed due to widespread opposition, including from senators Bernie Sanders and Dianne Feinstein who condemned the bill as a violation of the First Amendment. State lawmakers introduced at least twelve additional measures in 2018. Executive orders issued by the governors of Louisiana and Kentucky required state contracts to include pledges not to boycott Israel. Kentucky’s governor stated that Israeli Prime Minister Netanyahu personally asked him to issue such an order. First Amendment Lawsuits: Federal judges in Arizona and Kansas issued preliminary injunctions against anti-boycott laws in those states, blocking their enforcement. Both judges confirmed that boycotts for Palestinian rights are protected First Amendment activities and that requiring state contractors to certify that they do not boycott Israel is unconstitutional. As the judge in the Kansas case noted, by forcing its contractors to disavow boycotts for Palestinian rights, Kansas was forcing them to “accommodate Kansas’s message of support for Israel.” Kansas amended its law to end the lawsuit. The Arizona law is blocked pending appeal of the decision to the Ninth Circuit. In Texas, the ACLU and the Council on American-Islamic Relations both filed lawsuits on behalf of individuals who lost contracts or had to forgo payment because of the Texas anti-boycott law. The ACLU also sued Arkansas on behalf of a newspaper publisher that refused to sign a certification that it would not boycott Israel. At least two lawmakers censored activists on social media over comments supporting Palestinian rights. Dana Al-Hasan, a student activist in South Carolina, was blocked on Twitter by State Representative Alan Clemmons, a staunch supporter of Israel, after she mentioned him in a tweet criticizing discriminatory Israeli policies. 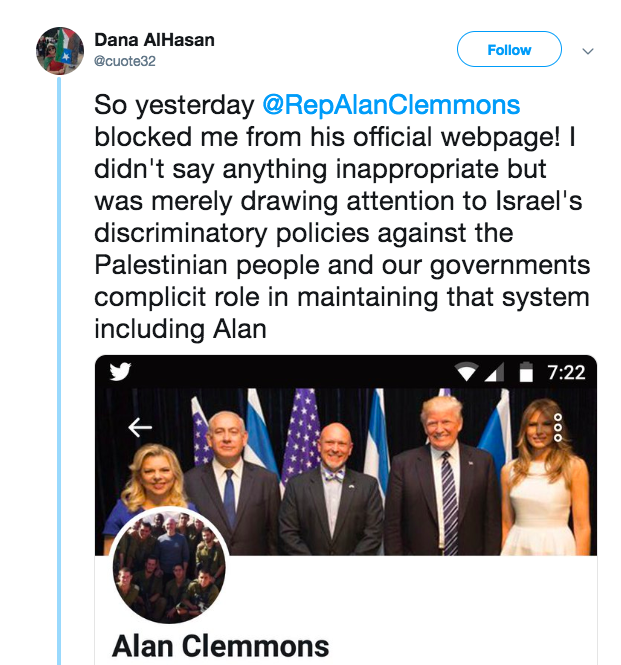 Clemmons unblocked Al-Hasan after Palestine Legal wrote to him explaining that he had violated her First Amendment rights. In 2018, pro-Palestinian activists contacted Palestine Legal for support in five different cases after being approached by the FBI. For example, FBI agents visited the home of a UCLA student in February to ask her about her activism for Palestinian rights, prompting Palestine Legal to issue a know your rights advisory. Officers from the Department of Homeland Security showed up to a June symposium hosted by USA-Palestine Mental Health Network. The event had earlier faced calls for cancellation and demands for police presence. Israel advocacy groups repeatedly petitioned law enforcement authorities to prosecute students and community organizations who voice support for Palestinian rights under criminal codes, for example at Stanford. As in previous years, students and scholars continue to be the primary target for backlash and censorship. 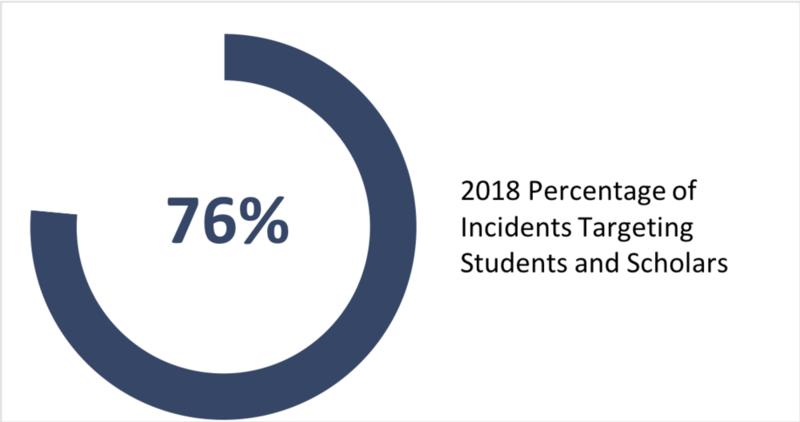 Seventy-six percent of the incidents Palestine Legal responded to in 2018 were campus related. Palestine Legal responded to 51 administrative complaints against Palestine activists, double the number from 2017. 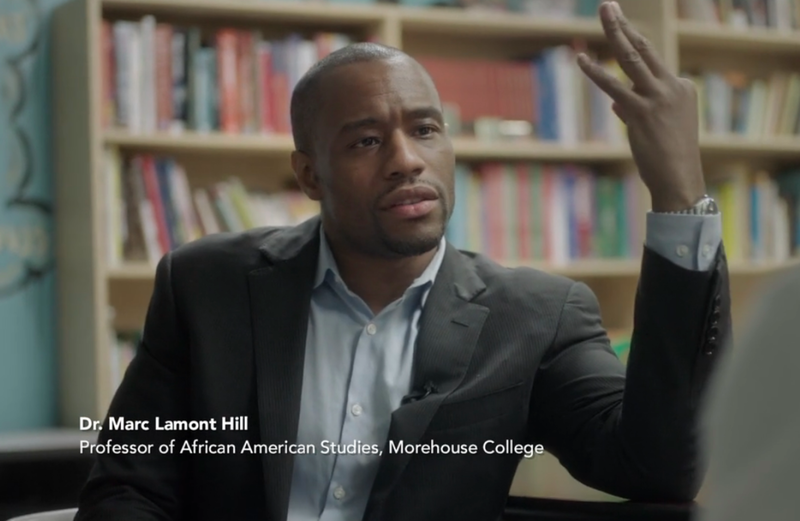 Temple Investigates Marc Lamont Hill Over UN Speech: At an event at the United Nations in November, Temple University professor Marc Lamont Hill spoke about ways in which Israel denies equality to Palestinians and about parallels with the Black experience in the U.S. He ended his speech calling for “a free Palestine from the river to the sea.” The next day he was fired by CNN, where he had been on contract as a commentator. The chair of Temple’s board announced that he wanted to fire Hill and that the school would investigate its options. Two weeks later, Temple released a statement recognizing that Hill’s speech was protected by the First Amendment. Graduate Students Investigated Over Support for Palestine: A graduate student at the City University of New York (CUNY) was investigated after making comments critical of Israel in an email exchange on a departmental listserve. Palestine Legal wrote to CUNY explaining that the student’s comments were protected by the First Amendment. After a nearly three-month investigation, the university cleared the student. In California, a graduate student was called in for a meeting with the chair of her department after a classmate falsely accused her of saying that Zionists are not human. Though the investigation was terminated within a few days after multiple witnesses confirmed that no such statement was made, the incident had a significant chilling impact. Most notably, it prompted the professor to warn the student that she should self-censor a paper on Palestinian history that would be reviewed by her classmates. Pro-Israel Group Files Complaint Against Columbia Students: In February, Students Supporting Israel filed a formal complaint against students for “delegitimiz[ing]” Israel. The complaint named Students for Justice in Palestine, Jewish Voice for Peace, Columbia University Apartheid Divest and three Columbia students affiliated with these groups. It was dismissed in April. 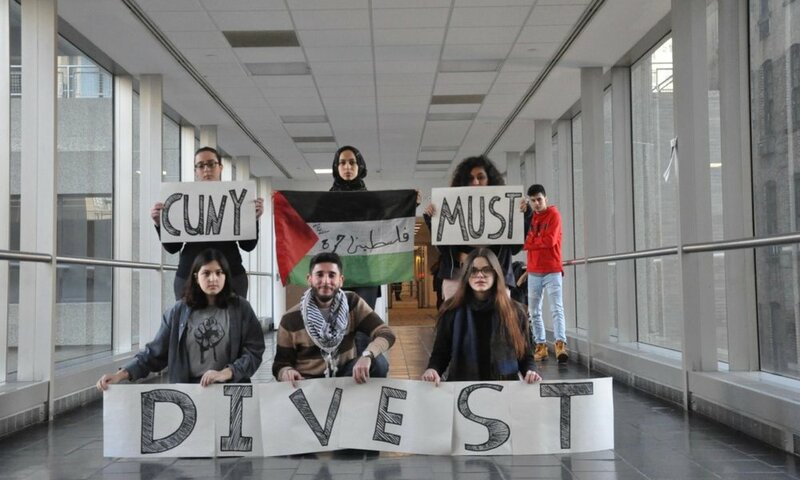 CCNY Cancels SJP Event: In April, administrators at the City College of New York told Students for Justice in Palestine that they were cancelling the group’s event featuring Israeli author Miko Peled. At first the administrator said the problem was the speaker’s “particularly controversial” views and that the school wanted to avoid negative news coverage. The same administrator then erroneously claimed that SJP had not filed the proper paperwork. After Palestine Legal and Center for Constitutional Rights (CCR) intervened, the school allowed the event to proceed and apologized to SJP. As the American public becomes increasingly aware of the Israeli government’s oppression of Palestinians, supporters of Israel have resorted to underhanded attempts to stifle debate and democratic decision making. Government-Sponsored App Interferes with On-Campus Debate: Act.IL, an app funded in part by the Israeli government, directs users from around the world on “missions” to promote Israel’s agenda online. During a student senate vote on whether George Washington University should divest from companies that facilitate Israel’s violations of international law, the app directed users to promote a website that threatened to reveal the identities of student senators who had voted by secret ballot over concerns for their safety. When similar resolutions were being considered by students at City University of New York and New York University, the app directed users to sign petitions against the resolution. Anonymous Online Harassment: Revelations in 2018 shed new light on the growing problem of online harassment against supporters of Palestinian rights. Footage that Electronic Intifada released from a censored Al Jazeera documentary shows Jacob Baime, the head of the Israel on Campus Coalition (ICC), describing their strategy: “With the anti-Israel people, what’s most effective, what we’ve found at least in the last year, is you do the opposition research, put up some anonymous website, and then put up targeted Facebook ads.” In 2018, anonymous websites made false accusations against numerous activists, including sites that targeted campus communities such as UCLA and Columbia. The sites were promoted through paid ads on Facebook and Instagram. ICC has taken credit for similar “anonymous digital campaigns,” including the site SJP Uncovered. Palestine Legal received several reports of Israeli security officials relying on the blacklisting site Canary Mission during airport screening as well as reports of employers questioning activists about the site. As of January 2019, the site had profiles of 1,853 individuals and 563 professors. Though the site continues to operate anonymously, there were new revelations in 2018 about the people and funding behind the site, and an increasing recognition, even by supporters of Israel, of the site’s damaging tactics. “Pollsters” Claim Hamas Supports City Council Resolution: In April, the city council in Cambridge, Massachusetts, planned to consider a resolution on boycotting Hewlett-Packard over its role in facilitating abuses by Israel. Just ahead of the vote, anonymous callers claiming to be taking a poll reportedly called residents to ask if they would be more or less likely to support a policy if they knew a recognized terrorist organization was promoting it, later mentioning Hamas. The same resolution was also the target of an Act.IL mission. After the backlash, the resolution was never brought to a vote. Anti-Palestinian groups continued to issue legal threats and file lawsuits to silence the movement for Palestinian rights. In 2018, Palestine Legal responded to 28 lawsuits or threats of lawsuits or criminal prosecution. Lawsuit Against San Francisco State and Professor Abdulhadi: In March and again in October, a federal court dismissed a baseless lawsuit that sought to compel the university to restrict the speech of students and faculty who support Palestinian freedom. After the complaint was first dismissed in March, the plaintiffs filed a similar lawsuit in California state court. The plaintiffs also filed an appeal with the Ninth Circuit. Threat Against Tech Company: In December, Shurat HaDin, an Israeli government-linked law firm, sent a threat letter to the donation platform Donorbox claiming that they would be subject to civil and criminal penalties for providing services to the Palestinian Boycott National Committee (BNC). The letter claimed that Donorbox was supporting terrorism by processing donations for the BNC, a Palestinian coalition that advocates for boycotts, divestment, and sanctions in order to secure freedom and equality for Palestinians. The letter prompted Donorbox to suspend the BNC’s account at the height of the charity-giving season. Lawsuits Against City of Durham: In April, activists in Durham, North Carolina, successfully campaigned for a statement from the city council stating that Durham police officers would not engage in training in Israel. In October, a pro-Israel group filed a lawsuit on behalf of two volunteer police officers in Israel who alleged that the policy discriminates against them. In December, another suit was filed claiming that the mayor violated open meeting laws by notifying city council members via email that he planned to raise the issue the next day. In November 2018, students from throughout the United States and Canada gathered on the campus of the University of California, Los Angeles, for the eighth annual National Students for Justice in Palestine conference. In advance of the conference, Israel advocacy organizations mobilized a widespread campaign to shut it down. The university permitted the conference to proceed, but not before issuing an unsubstantiated claim of trademark infringement and demanding that the conference alter its logo. The university also required an overwhelming presence of administrators, campus police, and private security throughout the conference. When the conference went forward, Israel advocates responded by immediately filing a complaint with the federal government demanding that UCLA be investigated for engaging in an intentional act of antisemitism by allowing the conference to take place. Despite efforts to shut it down, the conference was the largest in the group’s history. Lawsuits Against Airbnb: In November, Airbnb announced its plan to stop listing properties in illegal Israeli settlements in the West Bank. Within weeks – before Airbnb even implemented its decision – the company faced an arbitration claim in New York, a lawsuit in a Delaware federal court, complaint letters to the Securities and Exchange Commission and the Office of Antiboycott Compliance, and announcements from lawmakers in Illinois and Florida that they would investigate blacklisting Airbnb under their states’ anti-boycott laws. Legal Threat to Barnard College: In August, the Lawfare Project sent a letter to Barnard College, threatening the school with criminal liability for supporting terrorism if it went forward with hosting an event titled “Breaking Bars: Fighting Incarceration from the US to Palestine.” The event, which featured speakers from the Palestinian human rights and prisoner support group Addameer, went on as planned despite the attempted intimidation. Activists frequently reported being blocked by Twitter or Facebook or having content removed because of posts criticizing Israel or supporting Palestinian human rights. For example, in July, the American-Jewish group IfNotNow reported that a video of a student walking out on an Israeli propaganda tour had been deleted by Facebook without explanation. In December, the online news outlet Electronic Intifada reported that its Twitter account had been locked after posting a link to an article on clandestine operations of the Israeli military. Universities also investigated students over posts on Twitter and Facebook. Stanford Student Pressured to Resign: In July, a Stanford student faced a barrage of threats and calls for the school to fire him from his on-campus job after he idiomatically used the phrase “physically fight” in a Facebook post criticizing a discriminatory Israeli law. He was investigated by Stanford, a lawyer threatened to sue the school, and an Israel advocacy group filed a baseless criminal complaint with local prosecutors. He ultimately resigned from his position. Texas Student Banned from Class: In October, a student at the University of Texas at Austin was banned from class after posting a tweet referring to a classmate as a Zionist. She was told her post was antisemitic because the classmate, an outspoken supporter of Israel, does not self-identify as a Zionist. Parents and pro-Israel groups launched campaigns against teachers at several high schools for teaching about Palestine and acknowledging Palestinian deaths. Hearing on History Curriculum: High school teachers in Newton, Massachusetts, who taught their students about the Middle East had to defend their history curriculum against claims of anti-Israel and pro-Muslim bias, culminating in a public hearing in November. History Teachers Forced Out: A history teacher at a New York City prep school faced an investigation in May after he posted an Amnesty International article and the names of Palestinians who had been killed on the door of his classroom. The posting sparked a coordinated campaign against the teacher in which he was falsely accused of bias in the classroom. The campaign also swept up the head of the history department, who resigned in protest after his course on Israel and Palestine was canceled. Death Threat After Moment of Silence: In May, the assistant principal at a New York City public school received a death threat and a petition from parents accusing the school of supporting terrorism and violating school regulations after the school held a moment of silence for Palestinians killed during protests in Gaza. Throughout the year, activists in the movement for Palestine rights reported being bombarded online with graphic death threats after their names were publicized on right-wing pro-Israel websites. Several students reported being physically assaulted by Zionists on campus. 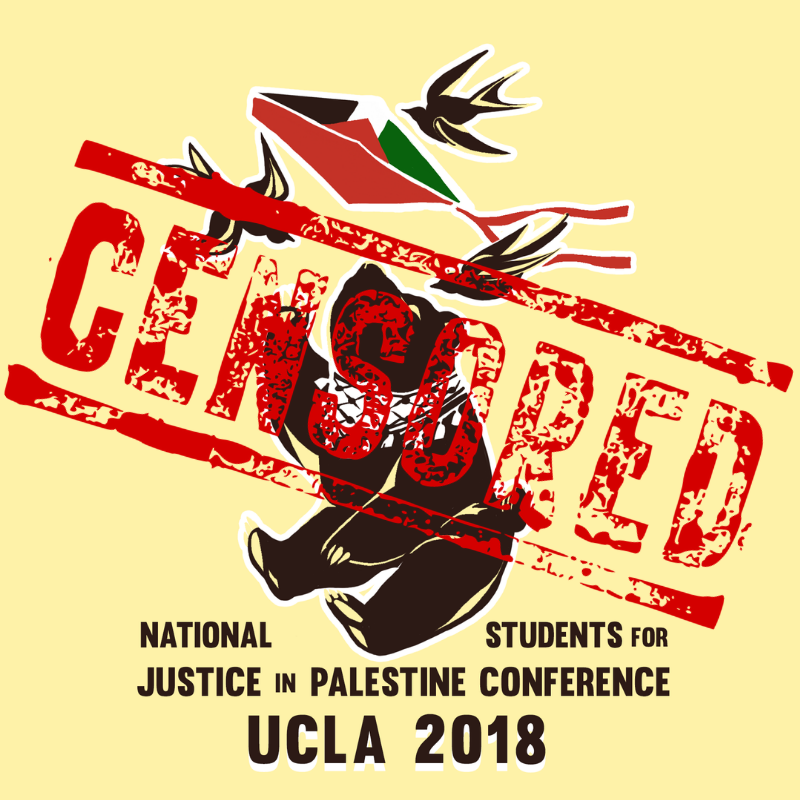 One reported attack took place at UCLA in the days leading up to the National Students for Justice in Palestine conference and involved a far-right group called Yad Yamin. Members of the Jewish Defense League, another far-right group designated by the FBI as terrorist organization, were prominently visible at a rally at Columbia University in October, where one attendee called on pro-Israel students to engage in physical aggression. The majority of suppression incidents are based on underlying false accusations of antisemitism and/or support for terrorism. Palestine Legal responded to 142 incidents where Israel advocates levied false accusations of antisemitism based solely on speech supportive of Palestinian rights, making up 49 percent of our caseload. In 93 incidents – 32 percent of our cases – activists were falsely accused of supporting violence or terrorism based solely on speech supportive of Palestine.